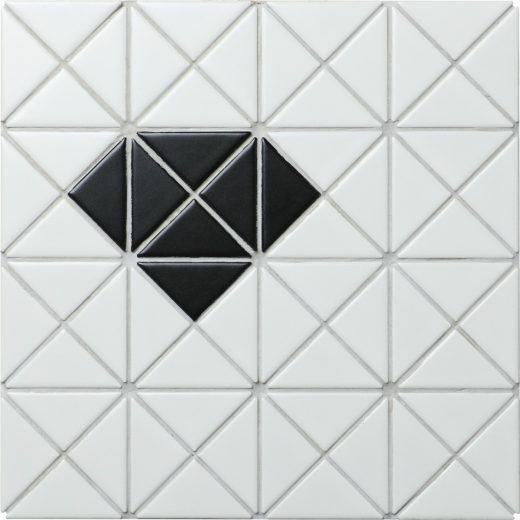 Remodel your home entry unique and standing-out by re-tiling the wall with this 2″ porcelain triangle mosaic tile, which has a striking black diamond pattern on each sheet. Matte finish, wear-resistant, it also can be used in flooring. Its mesh-back design makes the installation easier.